With Vampire living on and new Vampires coming. All of the Amiga’s that is equipped with them or those with 68060+ CPUs should take a look here. 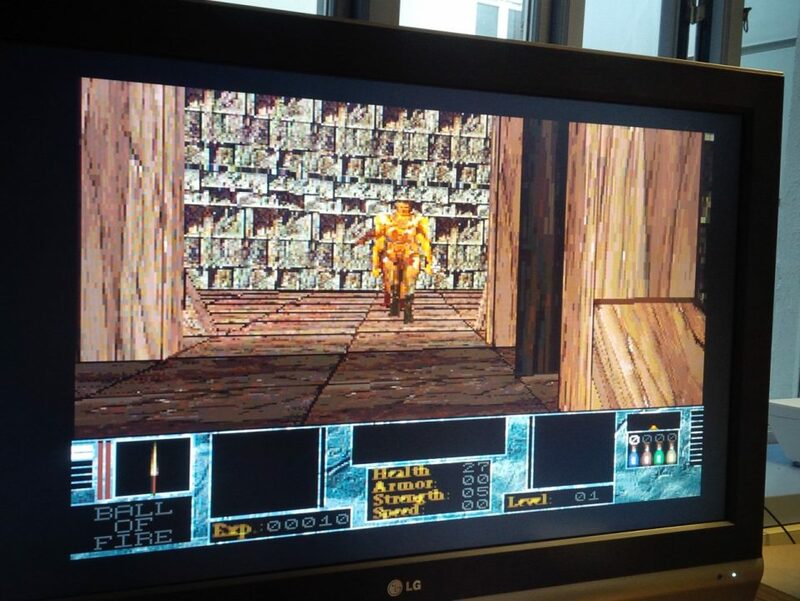 Also those claiming that Amiga only got Doom clones only should have a look. You might not agree and your opinion might stay regarding 3D FPS on Amiga, but then I would recommend you to try some of the games presented in this article first. Because in my opinion, there is much originality to Amiga 3D FPS games that many do not know about! On June 22nd 1996, Quake got released for the PC and blew many people away. At the same time, Team 17 also released their Alien Breed 3D The Killing Grounds game which got fantastic views. However, very few could play it at more than 18FPS in full screen at the time. Most of Amigans had 68020, 68030 or 68040 Amigas. The 68060 got released in 1996 according to amiga.resource.cx website by Phase 5 Digital Products in Germany. But this CPU at launch was very expensive which only a few had the economy for willing getting one. When the same company released their combined 68060 and PowerPC cards later. This didn’t help for Alien Breed 3D The Killing Grounds game neither. It wasn’t until the Graphics Card patch that came in 1998 that this game became playable. However, Trapped 2 which got released in 1997 by New Generation and Oxyron in Germany was a extravaganza 3D FPS RPG game that provided a 3D engine that is yet to date not beaten at all! Yes, Trapped II 3D engine is by far one of the most advanced 3D engines ever made for any console or computer for sure. On 68060, the Trapped 2 3D engine flies at over 30FPS on 50MHz even! And that’s only on AGA. By playing the game on a more modern graphics card, the FPS is even better. But to achieve 30FPS in 1×1 on 68060 50MHz is pretty stunning. These coders implementing this 3D engine was geniouses. I would love to get in touch with the people behind it, because what they did is too much hidden for people. Yes! Even though the 3D engine and the game is stunning. Very few knows about it! And that’s where Amitopia wants to fit in. You read about this game in 2017, 20 years after the release of Trapped II. Now it’s time to know more about it! monsters featuring fear, group modes, run modes, casting spells etc. specials effects like mirrors, lens flares, glows, fire routines etc. 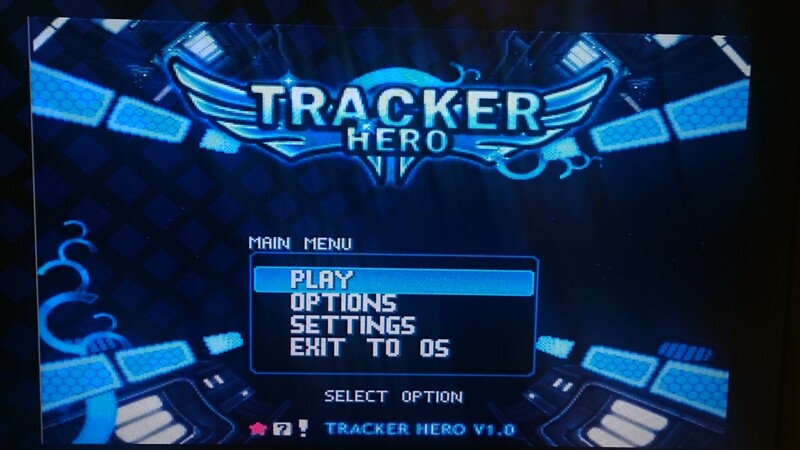 Also the game features a nice map, informative game graphics info and when we again add that this runs silky smooth on 68060 50MHz in fullscreen and 1×1 pixels, then this game just deserves so much more attention than it got! You can play it on 68020, 68030 or 68040. But then you need to adjust the graphics settings a lot. Trapped 2 does have many options, but playing this on a Amiga CD32 isn’t recommended without a Vampire upgrade for sure in the future! In 1997, when Trapped 2 got released for Amiga. This title came only on the new Amiga CD-ROM only format that is compatible with AmigaOS. This game is simply not compatible with Amiga CD32 format, so it is one of the very first Amiga CD-ROM only games and in 1997 not many low-end Amiga users had CD-ROM and many refused to buy Trapped 2 because of its specification demand. It wasn’t until in 1998-1999 that CD-ROMs for Classic Amiga started to be used more and more. AmigaOS 3.5 and AmigaOS 3.9 were both delivered on the new Amiga CD-ROM format. The high-end Amiga owners however had better possibilities regarding CD-ROM possibility from the start, but Amiga 1200 owners had to either buy Surf Squirrel that came with a SCSI-II connector for connecting expensive SCSI CD-ROMs or open their beloved A1200 case. Many Amigans simply didn’t want to and so in the start Amiga CD-ROM games had a very difficult start. Trapped 2 didn’t sell well at all, but on all other levels this game pushed Amiga hardware to its limits. Trapped 2 is sort of a lost treasure that now with Vampire will hopefully get more players. It really deserves that. There is simply no doubt about that. After you’ve inserted the game. The game itself starts with a mind-blowing intro that is run straight from the CD-ROM itself. Then you’re set into this transformed world with magic and leveling levels. The creatures are in 3D, the hunted town is stunning, the walking and action is for the time pretty stunning. On 68060, walking and jumping is nice and the fact that the game supports mouse is also great. The game is about demons that have captured Kaldrion. A mystical town that is now ready to be explored by an strong adventurer. They have done so to build up evil forces. All inhabitants of Kaldrion had to leave as the evil forces took over the whole country. It is now up to the lonely warrior which you play to help them. Along your journey the story reveals it more and more with more cinematic movies explaining the game further and further. This is a very complex 3D FPS game for the Amiga and to see it forgotten is something that Amitopia doesn’t want to at all. All of the coding is done by Michael Piepgras. 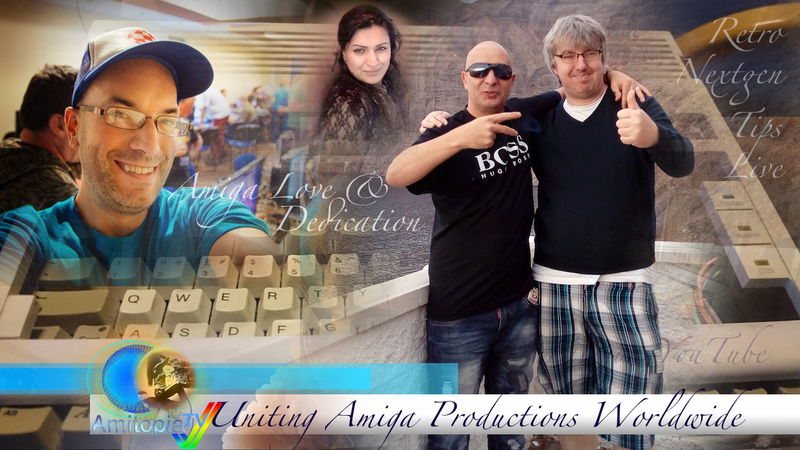 The fantastic intro and all of the cinematic clips is made by Achim Koyen and Michael Pepgras, Music is done by Dirk Jagdmann and Klaus Morell. You have made something unique that more people will be able to play now thanks to Vampire V2 and soon Vampire V4! This Only Amiga Made 3D FPS is for sure a rare item. There is absolutely no connection with Doom or Quake or Alien Breed 3D or Breathless at all in this game. It got its own story, own weapons, own creatures, own music and a fantastic gameplay on 68060++ that not so many 3D FPS games for Amiga have without installing patches! There is none out for Trapped 2. It means it’s pretty much bugfree. I never had issues with the game neither when I played it. Now it’s up to you! 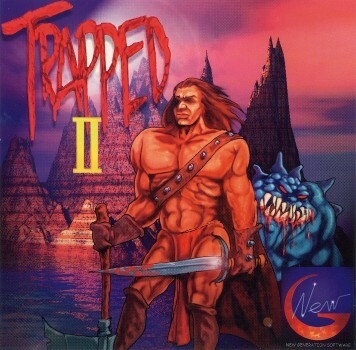 Get Trapped 2 for AGA Amigas, Graffiti or GFX-Card equipped Amigas. This game also supports using AHI if you want to use soundcard sound instead also! This is a game for all the likes unique and cool 3D FPS games and now with many Classic Amigas getting the power they need. Trapped 2 deserves to be played by you!